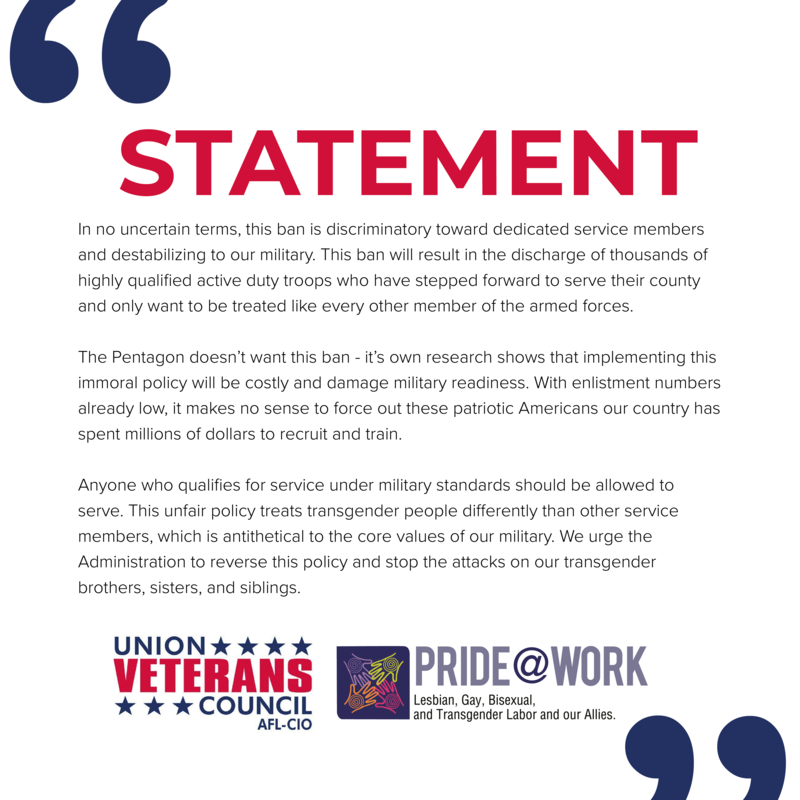 “In no uncertain terms, this ban is discriminatory toward dedicated service members and destabilizing to our military. This ban will result in the discharge of thousands of highly qualified active duty troops who have stepped forward to serve their county and only want to be treated like every other member of the armed forces. “The Pentagon doesn’t want this ban – it’s own research shows that implementing this immoral policy will be costly and damage military readiness. With enlistment numbers already low, it makes no sense to force out these patriotic Americans our country has spent millions of dollars to recruit and train.